Seven Ninety Seven: Momma Evelyn's New Tea Maker! As a tea lover I wanted to share with you the story of the fantastic tea making product that I discovered on Amazon.com a few months ago. From my previous posts, What’s in Momma Evelyn's Teacup? and What’s in Momma Evelyn's Teacup? Spice Mixture Update!, I described how a use the microwave oven for making my tea. Well, all I can say now is that that method got old really fast once I started getting eerie notions of spilling the tea on my hand while taking it out of the oven, or one of my three highly athletic cats darting in front of me while I was carrying the teapot to the counter. In short, I deemed my microwave method a potential hazard. Therefore, I went on the hunt for the perfect way to make tea. In the process I tried one of those plastic tea maker that came with its own infuser. Since infusing tea with fresh fruit and caramelized sugar is all the rave now, I gave it a shot. The tea it made was great. However, the only drawback was that you could only make ice tea with it. I had to either brew the tea on the stove in a regular teapot, then let it cool a bit before pouring it over my fruit and sugar in the infusion area, or by doing it the old fashion way like my grandparents did by adding all of the ingredients into the pot and infuser and letting the tea sit for hours or overnight, like the old fashion sun tea that sits in a bright window. This method of making tea did not suit my needs since I love drinking both hot and ice tea more than coffee. I also love finding new and natural teas. Okay, this is getting a little drawn out. So to the point. It was on Amazon.com that I found the perfect tea maker that suits me well. 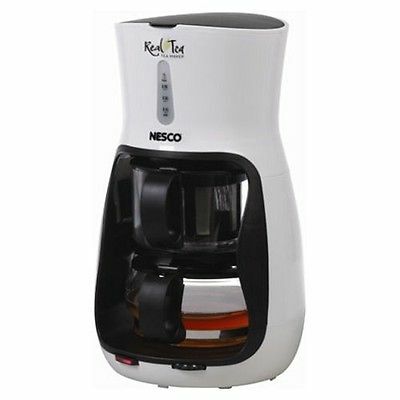 It is the Nesco TM-1 Electric Tea Maker, and it makes one liter of tea. It is easy to use and has steeping settings from 2 to 12 minutes, and a warmer that keeps the tea hot for one full hour. There are two compartments. The upper level compartment contain the steeping pot where you put your tea (loose or bags) and if you desire your fruit, sugar, or honey. The lower level contain the actual teapot that collects the tea after it has steeped for the number of minutes you have selected. With this Nesco Tea Electric Maker not only have I been able to enjoy my tea to its fullest, I have been able to try some interesting varieties of teas that are wonderful tasting. Although, the Nesco Electric Tea Maker might seem a little pricey at $52.99, it is really a great buy when compared to the Mr. Coffee 1.2 L Gourmet Tea Maker and Hot Water Kettle for $87.85 , or the KitchenAid 1.5L Electric Glass Tea Kettle for a whopping $142.73. In conclusion, my Nesco Electric Tea Maker was the right buy for me, and I enjoy every perfect cup of tea it makes for me as well. This is why I am recommending it to the tea lovers out there. Speaking of natural teas, below is my recipe for brewing tea with Lavender Buds. 2 tablespoons of dried food grade Lavender Buds, which I buy from My Spice Sage. 1 tablespoon of honey. Lavender Buds have a mild and natural sweetness so a little honey is all that is needed for the pot. Fill the tea pot with water and pour into the brewer. Select your steeping time. As Lavender Buds make a mild tea I steep mine for 8 minutes for fuller flavor. Now sit back and relax, because in almost no time you'll hear a couple of loud clicks, which is letting you know your tea is brewing and when it is done. And that's it. 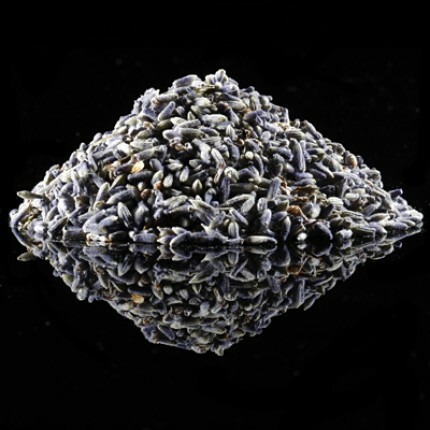 You are now ready to enjoy the wonderful flowery and relaxing taste of your Lavender Buds tea. If you like the taste of Sleepytime tea, I can guarantee that you will love this tea even more. 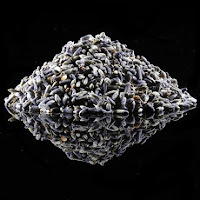 Not only is this tea great, its aroma fills the house with the scent of natural lavender that lasts all day.